When Missoula County funded a feasibility study to assess the condition of an historic valley ranch two years ago, the results were surprising, suggesting it could cost hundreds of thousands of dollars to repurpose the site while retaining its historic integrity. While an all-at-once approach proved unfeasible, one Missoula County commissioner believes the county can still achieve its goal of preserving the LeLonde Ranch by taking a more incremental approach and doing it over time. Garnet Ghost Town and the historic Moon Randolph Homestead could serve as models, according to Commissioner Dave Strohmaier. Several efforts to identify the property’s future have failed over the years, from its proposed use in 2016 as a fruit orchard with a kitchen and aquaponics system, to a potential rest stop and visitor’s center. For one reason or another, such proposals came and went, prompting the county to contract A&E Architects in 2017 to assess the condition of the ranch’s seven acres and its collection of buildings. While the results of that study proved more costly than the county had hoped, Strohmaier is still working for a solution. He committed last year to establish a working group to explore other tools that could preserve the 19th century ranch. Along the way, he also has met with historically minded entities, including the BLM, which manages the Garnet Ghost Town – established in 1895 with the placement of a stamp mill to crush ore. 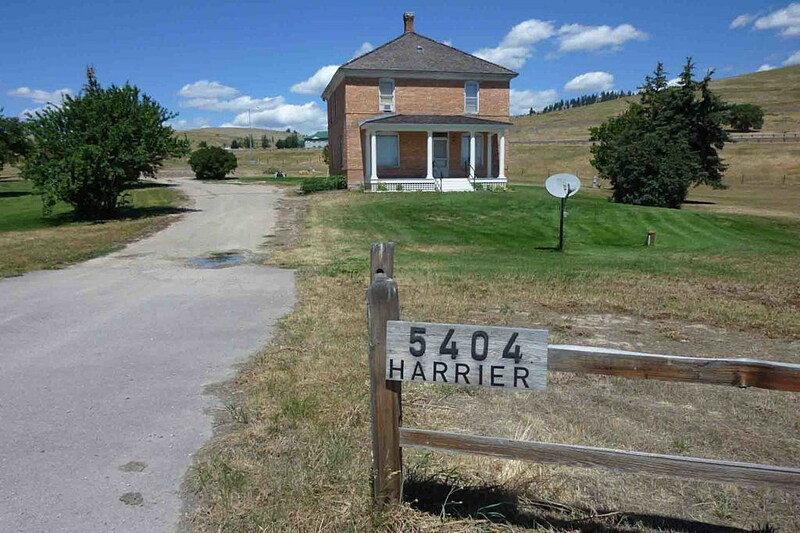 He and supporters also toured the Moon Randolph Homestead, which dates to 1889 when Ray and Luella Moon filed a claim on 160 acres above Missoula. 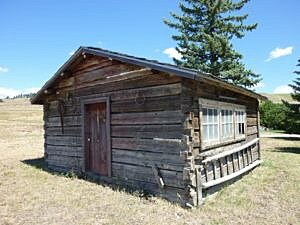 The old cabin dates back to 1877 and is thought to be one of the oldest standing structures in Missoula County. The ranch and its remaining 7 acres are now bounded on all sides by the county’s Development Park and Interstate 90. The park has been reserved for technology and industrial uses, though the county remains interested in preserving the ranch for the proper tenant. Strohmaier believes the ranch and its surroundings, including Big Sky Brewing and the Missoula Winery, tell a story of Missoula’s evolution, starting with its agricultural roots. The ranch’s location and history have coaxed Strohmaier and supporters to explore the creation of a heritage park. It would be the county’s first, if established, and it would need buy-in from the county’s Board of Commissioners, something that hasn’t come yet. Strohmaier envisions the site being managed through the county’s parks and trails program. Other historical properties around Missoula have been relocated over the years, some making their way to Fort Missoula. Relocating the historic cabin would be a last resort and something Strohmaier would like to avoid as the county considers the ranch’s future. As it stands, he said, the site still retains its historical integrity.